Boy, do I have some exciting news to share with you today! Me and my good friend Tanya (Leopard Lace and Cheesecake) are going to be covering the 7th Annual Emerging Trends Runway Show during Boston Fashion Week! Unless you live under a rock, you were subjected to the wonder of New York Fashion Week on the news and entertainments shows and media last month. Many people may not know this, but Bostonians have Fashion Week too! Sure, it's not as "big" as NYFW or as filled with celebs but it's a wonderful opportunity for established and up and coming local and international designers to showcase their designs. 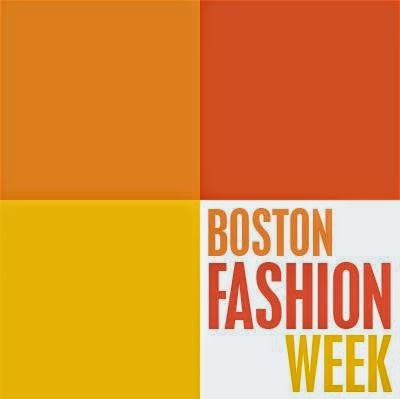 Boston Fashion Week takes place October 5-11 and you can see the show schedule HERE. The Emerging Trends Runway Show is hosted by Synergy Events. Synergy events started in 2006 as a small event planning company but they've quickly grown into planning global events during New York, Boston, and London Fashion Weeks. The Emerging Trends Runway Show takes place on the last night of BFW, and it's one of the biggest shows of the week. Ten international designers will be showcased in this year's show. Here is a quick summary of each designer, more information on the designers can be found HERE. Jamie Johnson: Jamie Johnson is the founder and designer for MAJ. She started MAJ in 2007 with custom dresses and gowns and began creating full collections starting with her Spring 2014 collection. Joyce Peñas Pilarsky: Joyce Peñas Pilarsky does many things with her time. She is a model, singer, painter, author, beauty queen, philanthropist and of course, a fashion designer. Jungsu "J" Choi: Jungsu “J” Choi designs reflect a modern take on men’s fashion that is both effortlessly casual and chic. Brigid Horlander:Brigid has shown garments in Baton Rouge Fashion Week as well as Fashion Group International - Dallas Career Day. While currently showing Ready-to-Wear, she has also worked in the bridal industry and with menswear. Anya Liesnik: Anya Liesnik is a Ukrainian fashion designer, based in Germany. Her unique label is about contemporary fashion combined with the fascination for the charismatic style of iconic women. Nuvu: The different styles of learning are the NuVu design students that are showing their designs for all to see at this year's fashion show. Gate 26 - Modern Vintage: GATE 26 Modern Vintage celebrates the classic design, tailoring, and silhouettes that premium luxury fashion brands continue to staple as part of their creative aesthetic for decades, while still embracing key elements of modernity. Aussi Bella: Kelly Gehman is the founder and creative director behind the sleek collection of handbags at Aussi Bella. Bella by Cassie: Cassie Giguere developed her own concept of stylish women's prêt-a-porter. Taylor Lane Designs: Taylor Lane is the designer and owner of Taylor Lane Designs. She created Taylor Lane Designs to offer women a new form of corsetry that could be incorporated into the daily wardrobe. The Emerging Trends Fashion Show will be taking place on Saturday, October 11 at 7pm at the Cyclorama in Boston. You can purchase tickets HERE, but hurry because as of right now there's only a few left! I'm beyond excited to be able to attend this fashion show as "press"! This will be my first Fashion Week fashion show and I can't wait to meet the designers and learn about what goes into putting together a fashion show! If you've gone to a Fashion Week fashion show and have any tips for me, please leave them in the comments below!